Lagotto Romagnolo Price - How Much Do Lagotto Romagnolo Puppies Cost? You are here: Home / Breeds / Lagotto Romagnolo Price – How Much Do Lagotto Romagnolo Puppies Cost? The Lagotto Romagnolo is a breed with Italian roots and a hefty Lagotto Romagnolo price. Elegant in name and in nature, this rare and beautiful dog is a true gem of intelligence, brains, and serious work ethic. Let’s learn more about the Lagotto Romagnolo price. A purebred puppy from a reputable breeder is almost always more costly than other sources, especially the rare and coveted Lagotto Romagnolo. But there is a method to the madness of breeding healthy puppies and the process for breeders can be quite costly. Did you know that before your Lagotto Romagnolo puppy is born, his parent dogs are being carefully selected, health screened, certified, and cleared of any inheritable diseases? Breeders are responsible for medical costs, birthing fees, puppy food, and more up until the day their puppies are sold. This all affects the Lagotto Romagnolo price. So, what is the average cost of being a responsible breeder? On the lowest end of the scale, breeders can spend around $15,828 during the entire breeding process. However, most breeders will wind up spending upwards of $7,444 to breed healthy litters. Those who are investing in breeding dogs of show quality status fork over the most, with a whopping $24,000 coming out of their wallets to breed and raise a litter of pups! Does that mean a puppy that isn’t show quality or doesn’t cost you an arm and a leg is going to be less healthy? Not always. 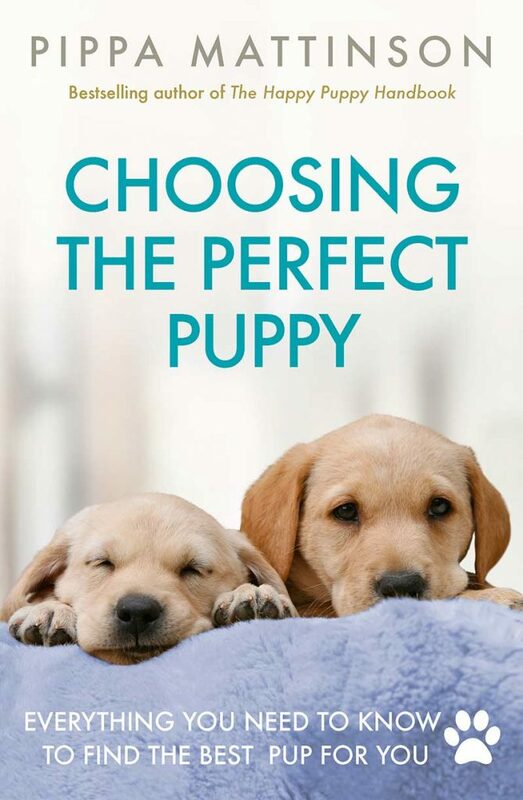 Let’s talk about how you can navigate the world of breeding to find yourself an affordable puppy without sacrificing the quality of his health and happiness. 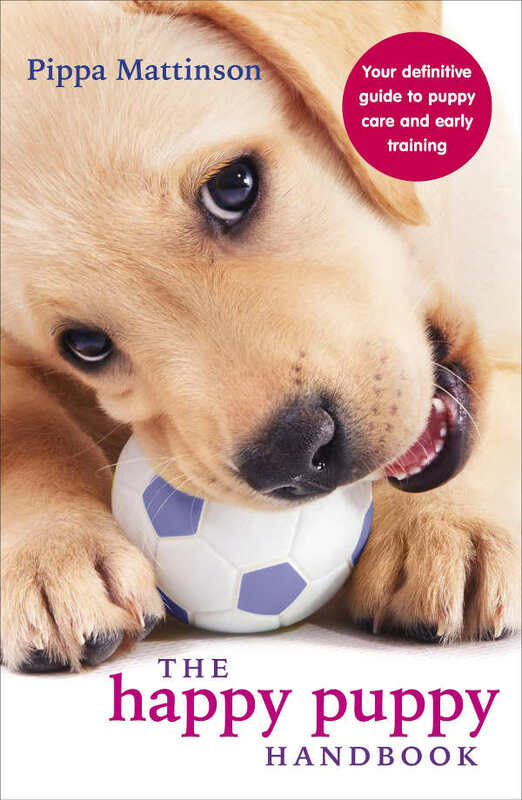 According to the Animal Pet Products Association, or APA, puppies make up a very large part of what is now a billion-dollar pet industry in the United States. And while many involved in the industry are good, responsible sellers, some are not. Puppy mills, backyard breeders, and inexperienced online puppy sellers all contribute to unhealthy puppies that may cost less upfront but can cost much more in the long run. To avoid accidentally supporting an illegal puppy mill, inexperienced or irresponsible breeder or seller, experts recommend staying away from pet stores or private, unlicensed sellers. 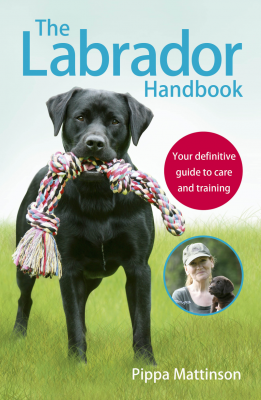 Research your breeder or the source you are getting your puppy from, and don’t be afraid to ask for certificates of health. Not all puppies cost thousands of dollars! Many breeders breed puppies that are specifically for companionship, and those puppies are going to cost less than puppies bred for show. But what about health? Are show quality puppies healthier than companion quality puppies? Of course not! 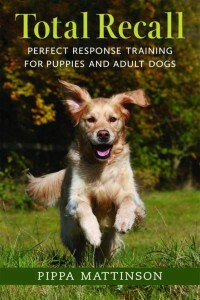 Companion puppies can differ from show quality puppies in minute ways that have nothing to do with health. In fact, the difference can be as small as the coloring of eyes or a diluted coat. Another way to save money and still get your hands on a wonderful dog is by going through a rescue. There are a number of breed-specific rescues and shelters that specialize in purebred dogs, including the Lagotto Romagnolo! Regardless of where you opt to get your Lagotto Romagnolo puppy, there are going to be fees. Let’s talk more about the overall price of one of these beautiful pups below. What Is the Cost of a Lagotto Romagnolo Puppy? As mentioned above, going through a breeder to get a puppy is typically going to cost more than rescuing, and going through a breeder to get a dog like the Lagotto Romagnolo is going to cost more. This is because the Lagotto Romagnolo is a rare breed who was only recently introduced to the AKC in 2015, and there are not many breeders who sell this dog. Beautiful, intelligent, friendly, and rare, you may find yourself on a waiting list for a Lagotto Romagnolo in the US. You may also want to prepare to spend a pretty penny. 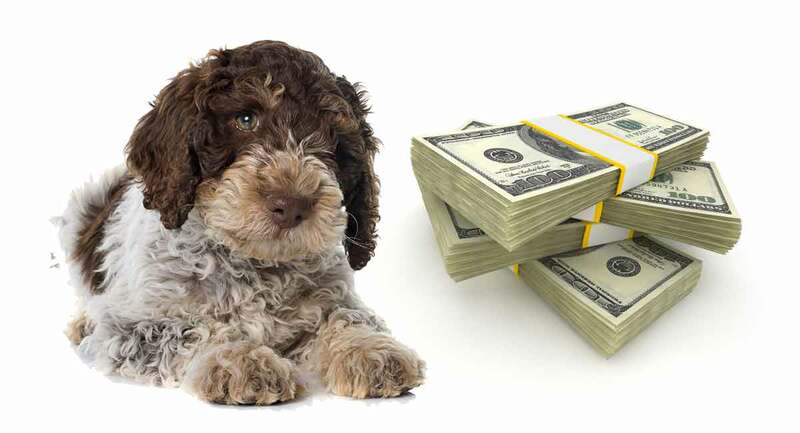 On average, a Lagotto Romagnolo puppy can cost between $1,800 and $2,500. Of course, rescuing is an option, but you may find it difficult to find a Lagotto Romagnolo puppy at a shelter. Still, an adult Lagotto Romagnolo is an excellent dog for those looking to skip the tiring puppy stage and move right into training and companionship! If you are fortunate enough to find one of these dogs looking to be rescued at a shelter, you will likely end up spending a fraction of what you would through a breeder, with adoption fees typically starting at $50 and maxing out at around $400. Are There Other Costs with a Lagotto Romagnolo Puppy? So, are you wondering what the total cost of buying and raising a Lagotto Romagnolo? According to the University of Veterinary Medicine, the first year of owning your puppy will be the most expensive. This is due to the fact that the upfront cost for a puppy is usually one large, lump sum, and then preparing for that puppy can add up. Furthermore, the cost of your dog is going to depend on his size, breed, and his owner’s lifestyle. The American Kennel Club calculates that with smaller breeds like the Lagotto Romagnolo price will be approximately $2,674 in their first year alone while larger dog breeds will typically cost their owners $3,536 in their first year. But what is the average, overall lifetime cost of buying and raising a dog? The American Kennel Club found that, on average, dog owners spent between $14,480 and $15,782 during the lifetime of their dogs. So, what do the experts suggest for reducing your Lagotto Romagnolo price once you have your pup? Most experts agree that medical costs are priciest when it comes to raising a dog. Owners who don’t stay on top of their dog’s health seemed to spend the most money in the long run. Understand what your Lagotto Romagnolo is susceptible to when it comes to his health. Make sure he has vaccines, has a balanced and healthy diet, and keep him properly exercised. Luckily, Lagotto Romagnolo dogs are overall healthy breeds. Still, all dogs can be susceptible to genetic health issues. One of the best ways to keep your Lagotto Romagnolo in ship shape is to ensure he is health screened at an early age. How Much is a Lagotto Romagnolo? The Lagotto Romagnolo is a rare and beautiful breed. Since there is a shortage of Lagotto Romagnolo breeders in the US, you may find yourself on a waiting list to get one of these curly cuties. And if you do get your hands on one, the overall cost could be more than most purebred puppies, with an average Lagotto Romagnolo puppy going for $1800 and $2500. And don’t forget about the lifetime cost of owning a dog, with the first year being the most expensive. Overall, your Lagotto Romagnolo price could be between $14,480 and $15,782. Of course, price is nothing compared to the love, loyalty, and companionship this wonderful breed brings to his human family! Tell us about your Lagotto Romagnolo price for your puppy below!